Generally fair. Low near 50F. Winds SW at 15 to 25 mph. 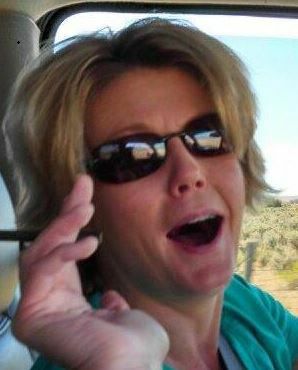 Tiffany Kay Ward Clark, age 47, of Murtaugh, Idaho, passed away as a result of a car accident near Mountain Home on Sunday, November 4, 2018. She was born on April 14, 1971, in Twin Falls, Idaho, to Alan Eugene Ward and Barbara Joyce Gott. Visitation with family is Sun, Nov 11, from 3:00-5:00 p.m. Funeral service is Mon, Nov 12, at 10:00 a.m. Both are at Parke’s MV Funeral Home, 2551 Kimberly Rd, Twin Falls. In lieu of flowers, please consider a donation in honor of Tiffany Clark to our local humane society where she was known to drop dog food and treats. Contributions may be sent to: People for Pets – Magic Valley Humane Society, 420 Victory Ave, Twin Falls, ID 83301. To sign a guestbook, and share condolences, tributes, stories and/or photos, go to www.magicvalleyfuneralhome.com.